BP will acquire the upstream portion of Clean Energy’s renewable natural gas (RNG) business through a long-term supply contract with Clean Energy to support the firm’s continuing downstream RNG business. The deal enables both companies to accelerate the growth in RNG supply and meet the growing demand of the NGV market. As a fuel for natural gas vehicle fleets, including heavy-duty trucks, the RNG is estimated to result in 70% lower greenhouse gas emissions than from equivalent gasoline/diesel fueled vehicles. Under terms of the agreement, BP will pay $155 million for Clean Energy’s existing biomethane production facilities, its share of two new facilities and its existing third party supply contracts for renewable natural gas. Closing the transaction is subject to regulatory approval. 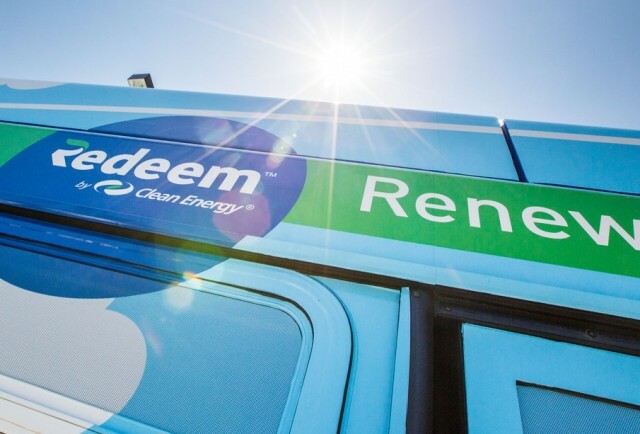 Clean Energy will continue to have access to a secure and expanding supply to sell to the growing customer base of its Redeem™-branded RNG fuel through a long-term supply contract with BP. Clean Energy, in turn, will be able to expand its Redeem customer base at its North American network of natural gas fueling stations, allowing customers to take advantage of the ease and affordability of switching to a fuel that is both renewable and can significantly reduce greenhouse gas emissions compared with diesel. Clean Energy will buy RNG from BP and collect royalties on gas purchased from BP and sold as Redeem at it stations. This royalty payment is in addition to any payment under BP’s contractual obligation.